February 10, 2011 1:05 am Tags: facebook fan page, how to, social media, tutorial, wall setting No Comments 0 show us some love. Do you have a Facebook fan page for your small business? or your product? one of the most bizarre things that i see fan pages do (yes, even fan pages for major brands) is to set the “Default View for Wall” (see 2 in screenshot) to “Only Post by Page“. i think that completely defeats the purpose of facebook fan pages. By setting “Only Post by Page”, all interaction by your fans, including valuable feedback…. gets censored. As a fan, i’m not gonna post something that doesn’t get displayed or doesn’t get read! 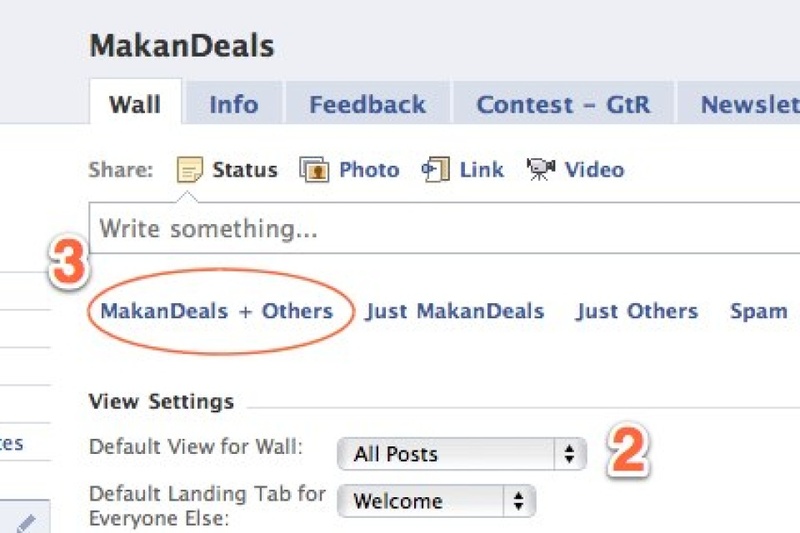 Option 2: Makes your facebook fan page, a 1-way communication channel. So if you are admin for any fan pages, do an analysis of what you want to do with your facebook fan page. Get ready to clean up some spam!